Amazon Prime Music app users in India can now call on Alexa without tapping a button when the app is running in the foreground. 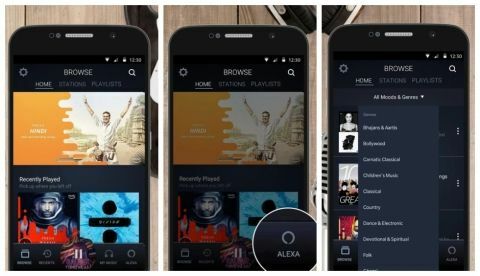 Amazon Prime Music app gets Alexa integration in India. Users can now call up the virtual assistant to control their music hands free. One will need to update the Amazon Prime Music app to get the new feature. The Amazon Prime Music app is being updated with the company’s virtual assistant. While Alexa was made available for the music streaming app about six months ago in the US, Amazon is now integrating Alexa with its Prime Music app for users in India. Called the Hands Free feature, the new option is aimed at enabling users to control their music using voice commands. The smart assistant will be enabled for both iOS and Android users, and one will also need not to press or tap the Alexa icon to invoke the virtual assistant. However, this works only when the app is open in the foreground. Users need to update to the latest version of the Amazon Prime Music app for using the feature, which can be toggled on or off via the app’s settings. Some examples of the voice commands that one can use with Alexa are: “Alexa, play the Dance party playlist I was listening to last week” or while doing some other work, add a song to your playlist with the command, “Alexa, add this song to the playlist ‘My Favourite Hits’ or “Alexa, play my workout playlist”.